The old saying ‘To go cap in hand’ talks about humility and approaching others respectfully in the hopes of receiving financial or material games. The Salvation Army Cap is all together different, it still speaks of humility and approaching others with respect instead of looking for money or material things it encourages those that wear it to approach others in order to serve them, to look for those opportunities where we can be a blessing to those we encounter. Love goes hand in hand with time, attention and fellowship; we must take the time to approach the throne of heaven respectfully and humbly but also expectantly and ready to encounter the living God and His wonders. Now; I’m going to tell you a secret about my cap...it very rarely leaves my house except on official engagements...and if it’s raining outside. Nothing makes me reach for my cap faster on Sunday than a good old fashioned rain storm as I head off to worship. The point is that I trust my cap to protect my head and keep me dry. In the early days of the Salvation Army one of the practical functions of the cap (and the ladies bonnets, but the less said about those the better) was to offer some form of protection against rocks and other projectiles hurled at these early Salvationists by those that opposed their shaking up of the status quo. So there is real, practical significance, relevance and proven historical legacy for the old cap. But it’s more than just a glorified hard-hat or shower cap. It makes the Salvationist visible to others, and makes heaven visible to its wearer, grounds us in the things beyond what we can see and keeps our minds focused on our mission and purpose; it is a modern day ‘Helmet of Salvation’. But all this by itself only goes so far...the cap goes hand in hand with the Holy Bible, a very old book I grant you, far older than the Salvationist’s cap, but if the cap guards the head, the Bible guards the heart. It inspires all the practical faith and service that the cap represents. 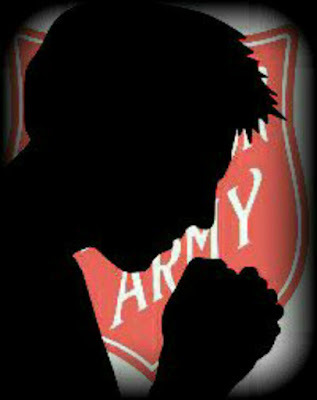 Without the inspiration and teaching of scripture there are no brass bands, no social service programs, no Salvation Army. 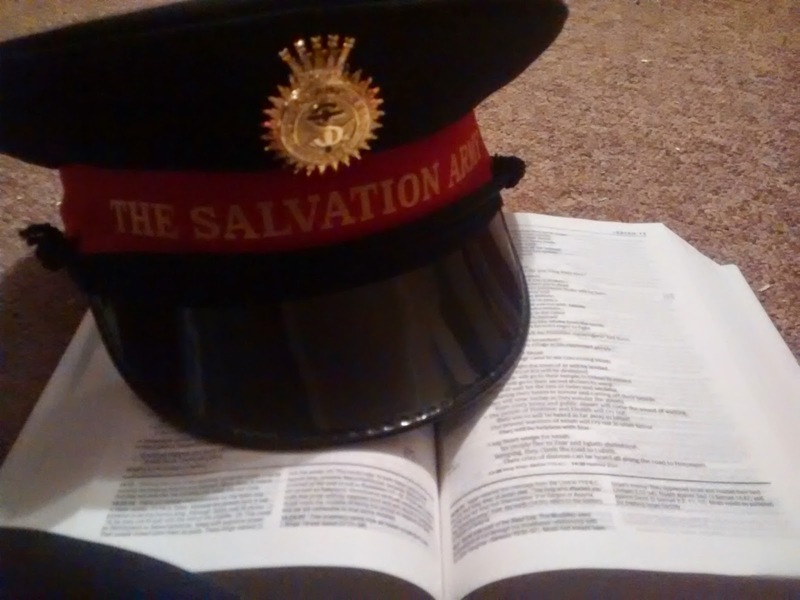 So to all Salvationists, don’t ever be afraid to go ‘cap in hand’ to God, but also remember where it all came from and guard and love your Bibles as you guard and love the Salvation Army with all its traditions, quirks and victories. For those using social media please follow on Twitter and like on Facebook.